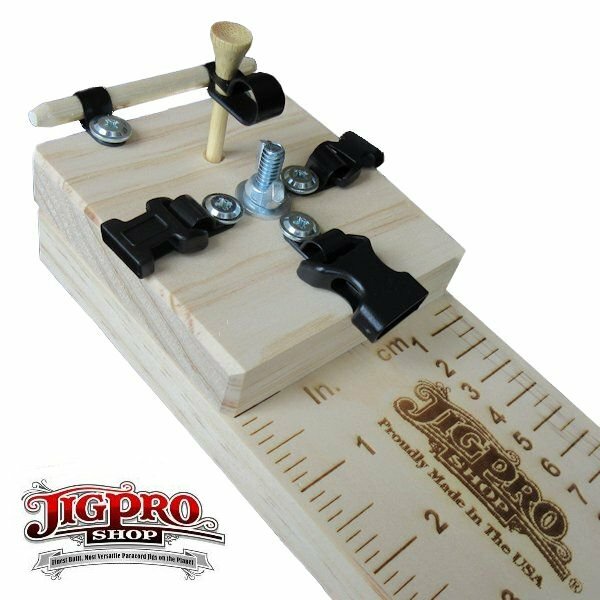 The 10" Professional Jig is a great choice for easily making bracelets, key fobs, or any other projects up to 10" in length. 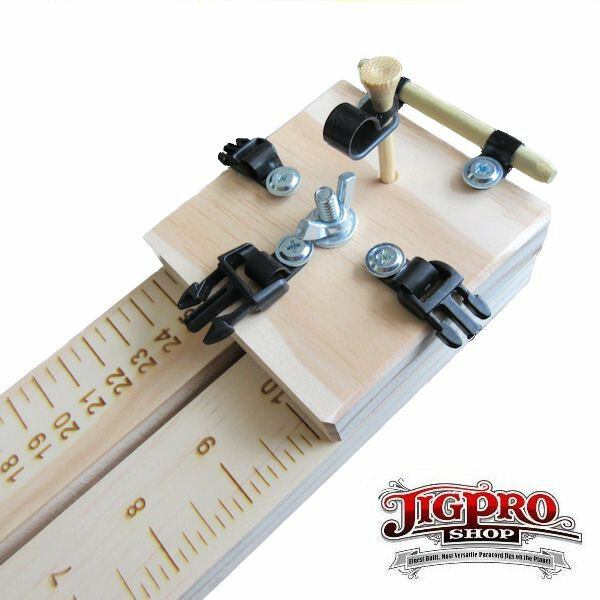 This is a sturdy, professional quality jig constructed to provide a lifetime of service. It's compact ~ fitting perfectly in your lap. This is a great all-around size to use at home as your primary Jig, yet small enough to be portable and easy to travel with. Featuring a locking, rotating head design that allows switching from different size buckles to shackles in seconds. 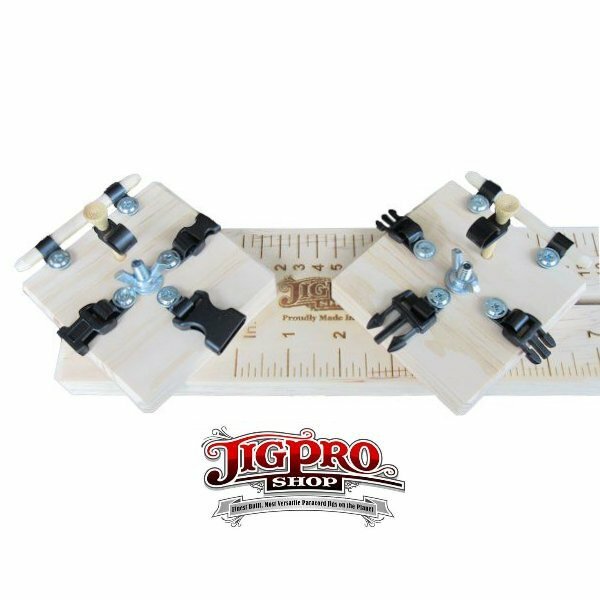 With a simple turn of a wing nut this Jig easily adjusts to projects ranging in size from 1" all the way up to 10"in length. Comes pre-assembled and ready to use right out of the box with the most commonly used 3/8", 1/2", & 5/8" side release buckles already installed. 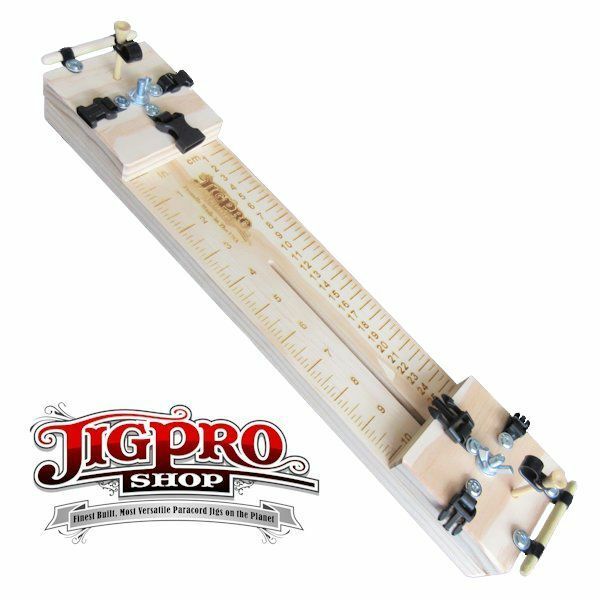 Also included on this jig are (2) removable vertical dowel posts, (2) horizontal loop rails, & (1) easy slip-on multi-purpose nylon clip to accommodate virtually any paracord making project using any type of hardware and a large scale, easy to read precision, laser etched ruler on top for quick setup and easy viewing. 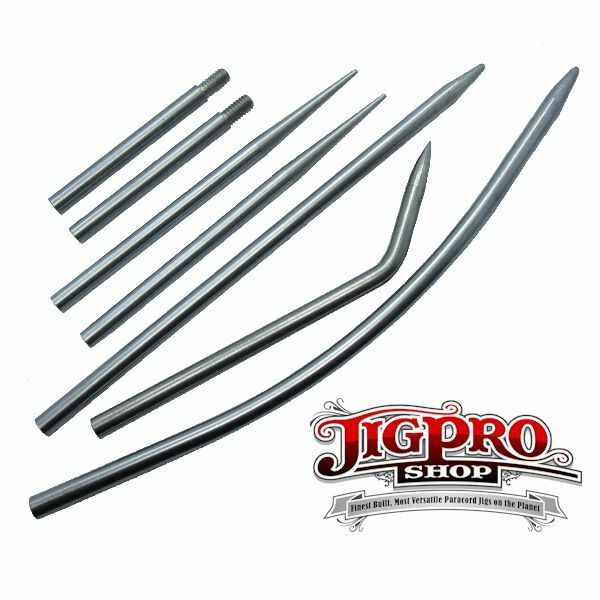 Available with our Multi-Monkey Fist Jig attachment, capable of making monkey fists from 5/8" up to 2 1/4" (cue ball size) in diameter all on a single jig. 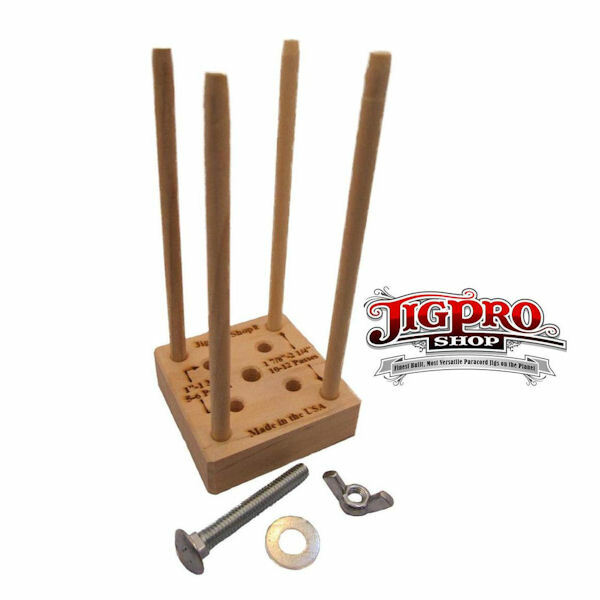 Comes complete with a bolt and wing nut for attaching to the base of the Professional Jig. 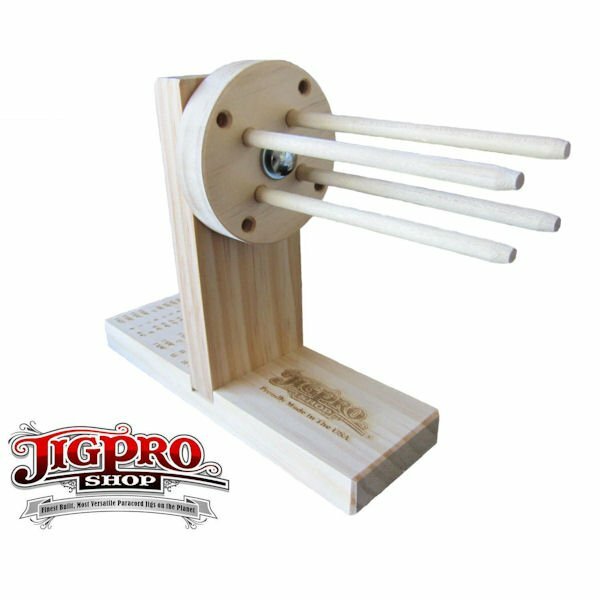 The Multi-Monkey Jig simplifies the monkey fist process and will help produce a nice, even monkey fist.